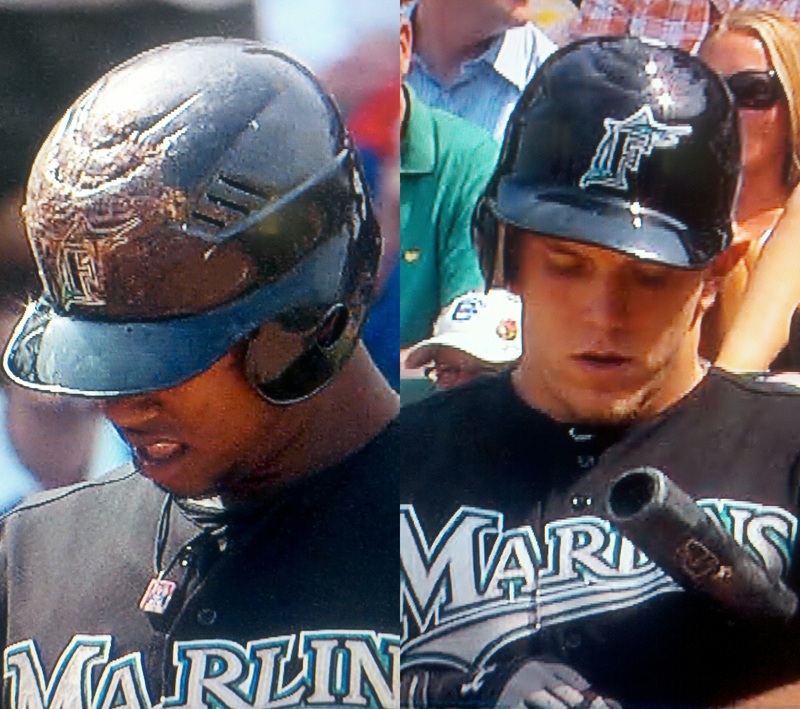 Hey LoMo, how come your helmet looks like it just flew off the shelf, and Hanley’s looks like somebody took a dump on it? You hate pine tar? This entry was posted in Baseball, MLB and tagged Hanley Ramirez, helmet, Logan Morrison, lomo, Marlins, MLB, pine tar. Bookmark the permalink.